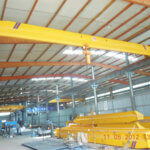 The following six points are detailed information about the requirements for the metallurgical crane. 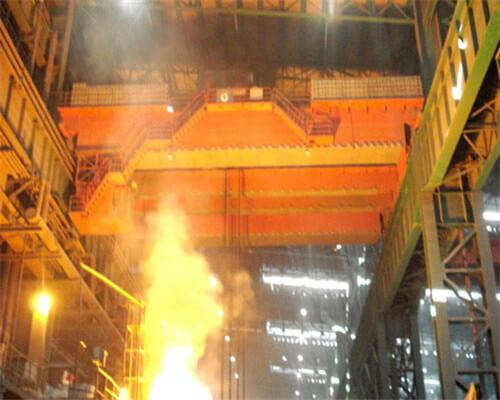 The AQSIQ “quality inspection office special 2007  document” issued the regulation requirements for hoisting molten metal with no-metallurgical hoisting machinery. The contents are as follows, for everyone to learn, discuss and communicate with. 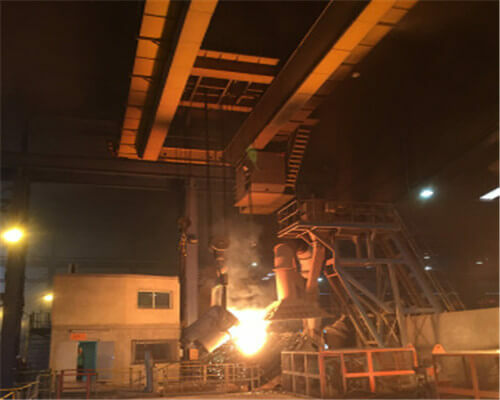 First, for the purpose of hoisting the molten metal by the universal bridge crane, it should be replaced with a casting crane that meets the requirements of JB/T7688.15 – 1999 metallurgical crane technical condition ladle crane. 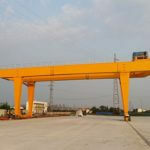 If the factory and foundation and other factors do not have the conditions to replace the casting cranes, in addition to meeting the general regulations and standards of the general bridge cranes, we must transform the original crane and meet the following basic technical requirements. Using metallurgical lifting special motor, when the environment temperature is more than 40 degrees, the H class insulation motor should be selected. The weight limiter must be installed. There are two kinds of the double limiter (double limit) with different forms (commonly used for a heavy hammer and rotary type), and different breakers shall be controlled. The crane with a lifting height of more than 20m should be equipped with a drop limit position limiter as needed. With thyristor stator voltage regulator, eddy current brake, energy consumption brake, SCR power supply, DC power supply speed regulation, and other lifting mechanisms that may cause over speed due to speed regulation and over 20t overhead cranes for hoisting molten metal, we must have overspeed protection. The lifting mechanism should have the function of the fault protection of the positive and reverse contactor to prevent the motor from losing electricity and the brake is still electrified to cause the stall. The protection grade of all electrical equipment shall meet the relevant standards. 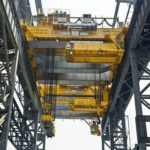 The hoisting machinery that works in the high-temperature environment for a long time should take protective measures for its electronic control equipment. Select the wire rope suitable for high temperature, and have enough safety factor. 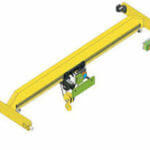 The original crane’s working level is lower than A6 (excluding A6), it should be used for lowering load. The decline extent should be determined according to the actual working conditions, but the lifting capacity after unloading shall not exceed 80% of the originally rated load. 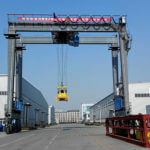 Second, for all kinds of lifting machinery which has been used as the hoisting mechanism with the rated lifting weight more than 10t, it is not allowed to lift the molten metal. Third, for lifting all kinds of hoisting machinery with electric lifting hoist as a lifting mechanism for lifting metal with a rated load less than or equal to 10t, the original crane must be replaced or reformed and meet the following basic technical requirements. There are different types of rising double limiter (lifting height greater than 20m, the limit position limit device should also be installed). With sufficient safety factor for the operation of molten metal, the work level should reach M5 level (including M5 level). As far as possible to use remote control and other control methods far away from the heat source, otherwise, the operator must be set up a safe channel. 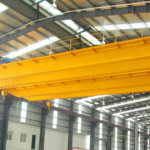 Fourth, the transformation of crane must have transformation license qualification units, the transformation must perform this procedure, after the transformation of the crane, must pass the inspection agency qualified in accordance with the “rules” of supervision and inspection of crane the requirements of supervision and inspection, after passing can be put into use in accordance with the provisions of. 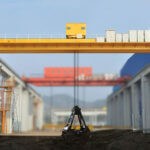 Fifth, hoisting molten metal crane reconstruction work should be completed before June 30, 20018, the use of units shall immediately formulate replacement plan or scheme to implement, otherwise should be stopped.During the period of reform, the use units should be used by the units, and effective measures must be taken to ensure the safe operation of the equipment. 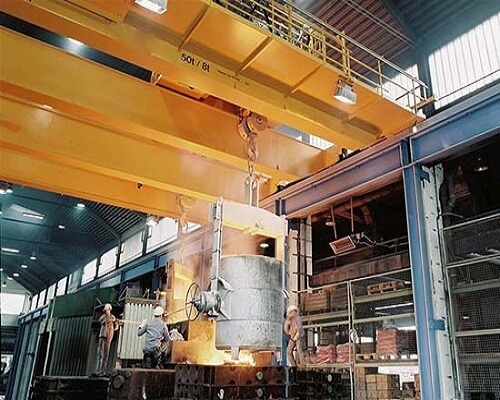 Sixth, the periodic inspection period of the crane for lifting the molten metal is shortened from 2 years to 1 years.Sixth, the periodic inspection period of the crane for lifting the molten metal is shortened from 2 years to 1 years. 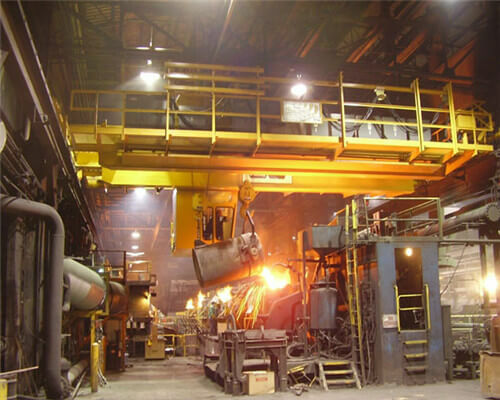 Ellsen is a professional company in designing and producing a variety of lifting equipment, including overhead cranes, gantry cranes, jib cranes, hoists and winches. Contact us for details. Copyright 2019 © Ellsen Machinery Equipment Co., Ltd.
1. Rated load(t): 2. Lifting height(m): 3. Span(m): 4. power source: __v/__hz/__phase？ 5.which kind of goods does it lift : 6. crane working condition or environment: 7. how long meters does your crane travel?